Chicken mites (Dermanyssus gallinae), also called the roost mites, are among the most common mites that infect chickens and other poultry. Unfortunately, these blood-sucking arachnids prey on more than just chickens; other birds as well as mammals, including humans, are vulnerable. To reduce the risk of you or your animals getting bitten, know how and when they feed, what they call home and how to treat infested areas. Chicken mites are tiny arachnids closely related to spiders. They are small, averaging around 1 millimeter long. Before feeding, they are brown or gray in color; after a blood feed, they appear bright red. They feed on blood, making any animal a potential target. Unlike other species of mites, they do not live on animals. Instead, they live in cracks and crevices in the chicken coop, coming out only at night to feed. In order to prevent bites on other livestock, pets or humans, it is essential to be able to recognize a possible chicken mite infestation. Check chickens regularly for signs of mites. Symptoms include itchiness, bare patches, scratching, weight loss, reduced egg productions and, in severe cases of infestation, anemia and death. Examine every inch of the chicken coop, especially in tiny cracks and crevices. This is where the mites live and lay their eggs. If you find mites or eggs, treat the coop and the chickens. If you no longer have chickens, do not assume you no longer have mites. Mites can go for months without feeding. 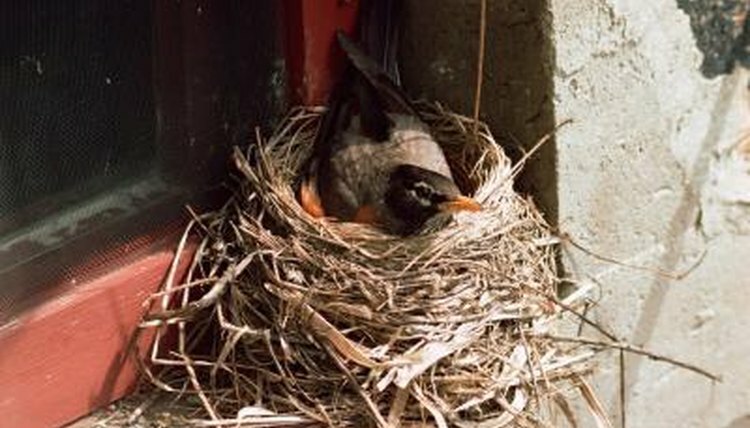 If you have never had chickens but suspect mite bites on yourself or your pets, check your yard for bird nests. Chicken mites routinely feed on wild birds, who can easily spread infestations. An infested bird landing on your roof can deposit mites that will lay eggs and then look for dinner in the evening. With the bird gone, you or your pets may become the new buffet table. When chicken mites feed on humans, symptoms include irritated skin, itchy bumps and rashes. As free-living mites, chicken mites tend to bite humans in areas where clothing rubs. In dogs or cats, bird mite bites can cause itchy skin, scratching, hair loss, head-shaking and a mangelike appearance. Unlike other mites that infect pets, chicken mites will move on from the host animal after feeding, so an infestation is unlikely.